Outfitted with a large 81mm aperture and an apochromatic lens configuration, the Vixen Optics A81M 81mm f/11 APO Refractor Telescope is an ideal choice for making detailed observations of the Moon and planets, as well as splitting binary stars and discerning details of distant galaxies and nebulae. Crown and flint glass lens elements, combined with multi-coated optics, work together to produce high-contrast images with accurate color rendition across the entire field of view with virtually zero distortion at the edges. This optical performance also makes the A81M an ideal choice for astrophotography. 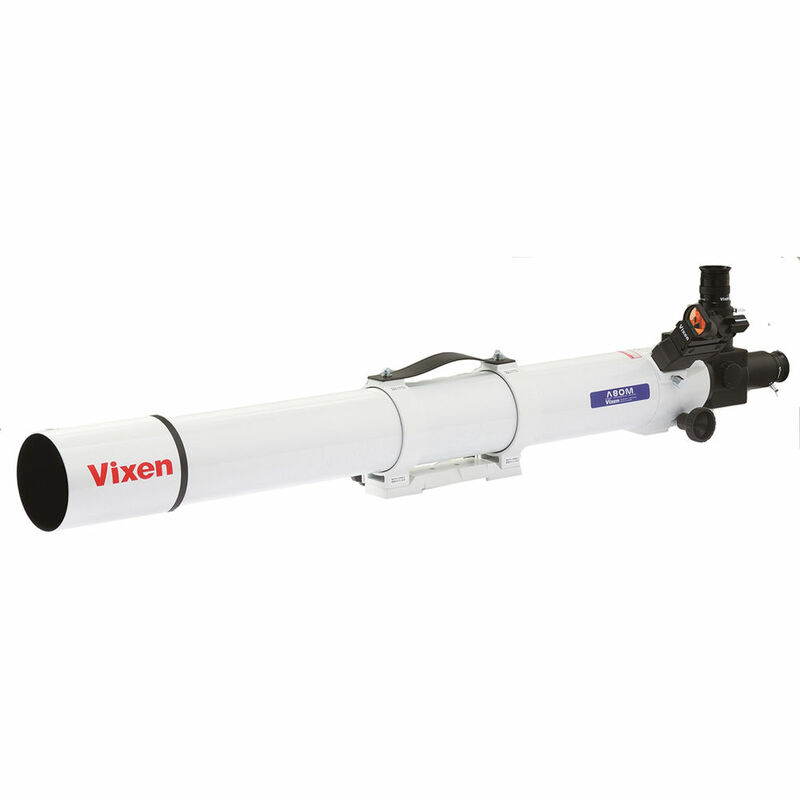 To make imaging easier, Vixen integrates a 90° flip mirror with two 1.25" eyepiece holders. For imaging, the rig is set at the back of the diagonal using an optional T-ring screwed directly onto the holder or other imaging configurations, with an eyepiece at the 90° position. In this configuration, with a simple flip of the mirror, the tracking accuracy can be checked and corrected without removing and re-mounting the delicate photo setup. This optical tube assembly (OTA) is offered here without a mount or tripod for those with a reliable setup, and comes with a cradle ring set with a Vixen-style dovetail plate and handle for safe and secure handling during setup and breakdown. Vixen Optics manufactures and assembles the A81M in Japan. Box Dimensions (LxWxH) 37.0 x 10.25 x 7.8"
Has anyone noticed that this scope is a crown-flint achromat but is described in the header as an APO? So I checked on the Manufacturer's Site. This model is It's achromatic, not apochromatic. My apologies for the misinformation. I will alert our Web Team of this error. Thank you for bringing this to our attention!